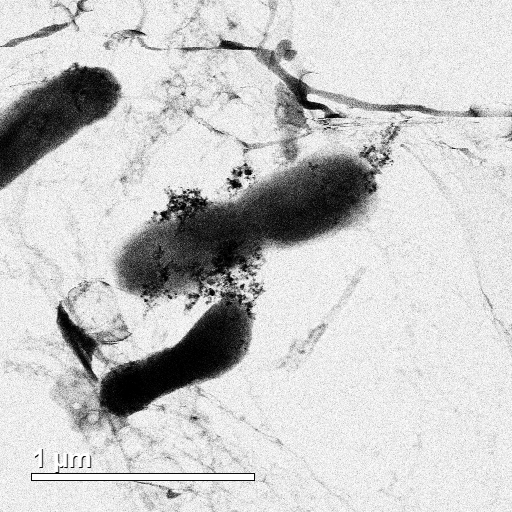 TEM image of E. coli bacteria cell with silver and titanium dioxide nanoparticles. Copyright Gray Research Group. All rights reserved. As a grad student at Northwestern University, I studied the environmental fate and toxicity of nanomaterials. Specifically, I examined the chemistry of silver and titanium dioxide nanomaterials in surface waters and their toxicity to bacteria under dark and solar irradiated conditions. I waspart of the Gray Research Group and Gaillard Research Group in Environmental Engineering at Northwestern University.